As I’ve explained, your daily calorie intake is by far the most important part of your diet plan no matter what your goal is (losing fat, building muscle, etc.). And, the starting point for figuring out exactly how many calories you need to eat per day revolves around something called your calorie maintenance level. Your calorie maintenance level is where your body is at when you consume and burn the same number of calories. Meaning, when Calories In = Calories Out, you’ve reached your calorie maintenance level. Let’s say you burn 2500 calories per day from a combination of exercise (weight training, cardio, etc. ), normal daily activities (getting dressed, showering, driving, etc. ), and your body doing the things it needs to do to sustain itself (breathing, pumping blood, digesting food, etc.). Why? Because you ate the same number of calories that you burned, and that means all of the calories you consumed were used by your body. There was no surplus or deficit. It was even. And, the amount of calories that makes this happen is your calorie maintenance level. 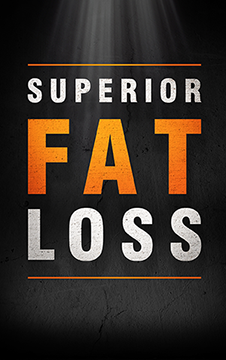 To lose fat, you need to create a caloric deficit. Meaning, you need to be BELOW your calorie maintenance level so that you end up burning more calories than you consume. When that happens, your stored body fat will be burned for energy instead. To maintain your current weight, you need to be AT your calorie maintenance level so that you’re consuming and burning the same number of calories. To build muscle, you need to create a caloric surplus. Meaning, you need to be ABOVE your calorie maintenance level so that you’re consuming more calories than you burn. When that happens, your body will have the extra calories it needs to create new muscle tissue. The thing is, in order to do any of these things, you first need to figure out what your calorie maintenance level is so you know exactly what it is you need to be above, below or even with. In case it’s not obvious enough, calorie maintenance levels are different for everyone because we all have different daily calorie requirements. It’s not like everyone with a certain goal or body type has the same maintenance level or anything like that. Instead, your calorie maintenance level is dependent on many factors that are specific to you and your exact situation. As you can see, your specific calorie maintenance level is tailored to you and you alone. Even if you are the same age, height and weight as someone and have the exact same activity level and goals as they do, you can both still have very different calorie maintenance levels and daily calorie requirements in general. Luckily though, there are a few quick and easy ways to get an accurate estimate of what your daily calorie maintenance level is. And that’s where the Mifflin-St Jeor Equation comes into play. The Mifflin-St Jeor Equation is one of a handful of well accepted (and slightly complex) equations used for estimating your daily calorie requirements based on many of the factors I mentioned before, therefore increasing the potential for accuracy. I explain this experiment much better here: How Many Calories Are Needed To Maintain My Current Weight? Now, do you NEED to do this experiment? Probably not. Method #1 and/or method #2 will usually be perfectly sufficient. Plus, in the next step, I’m going to show you how to ensure your calorie intake ends up being exactly right even if your estimate was slightly off. Whether you used method #1, method #2, or a combination of both (or did the experiment described in method #3), you should now have a really good idea of what your daily calorie maintenance level is. Again, don’t worry about your estimate being 100% accurate now. We’ll make sure it’s perfect in the next step. But for right now, all that matters is that you have your estimated daily calorie maintenance level figured out. Now comes the most important part of all: using that estimate to figure out exactly how many calories you need to eat per day to reach your specific goal. To Lose Fat: How Many Calories Should I Eat Per Day To Lose Weight & Lose Fat? To Build Muscle: How Many Calories Do I Need To Eat Per Day To Build Muscle Or Gain Weight? To Maintain Your Weight: How Many Calories Are Needed To Maintain My Current Weight?